CertainTeed believes integrity is built from the bottom up. Below are the main 6 aspects of a strong CertainTeed roof with the CertainTeed Integrity Roof System. 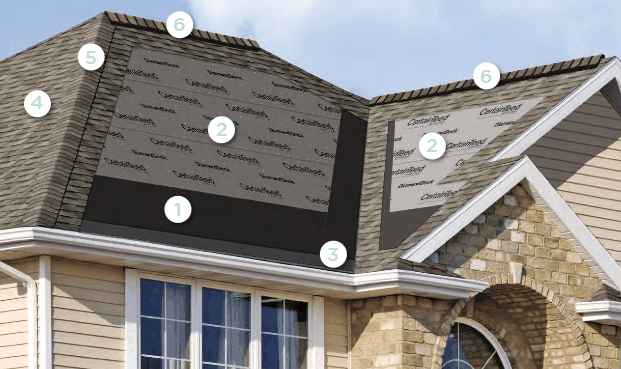 Waterproofing shingle underlayment prevents leaks from wind-driven rain and ice dams. High-performance underlayment provides a water-resistant layer over the roof deck and a secondary barrier against leaks. Perfect starts every time and designed to work in tandem with the roof shingles above. Choose the best, covered by the strongest warranty in the business. Perfect finish for hip and ridge lines, complementing all CertainTeed shingles. Engineered for ideal roof ventilation especially when matched with CertainTeed Intake Vents. If you would like more information regarding the CertainTeed Integrity Roof System contact us and obtain a free, no-obligation quote.